One weekend every July, West Seattle shuts down and parties! West Seattle Summer Fest is an annual event filled with great food, fun music, and cool vendors showcasing the great West Seattle neighborhood. The motto for the West Seattle Summer Fest is “Let’s close the streets and see what happens,” and that’s exactly what happens. This free, family-friendly, three-day event is filled to the brim with people and it’s tons of fun. 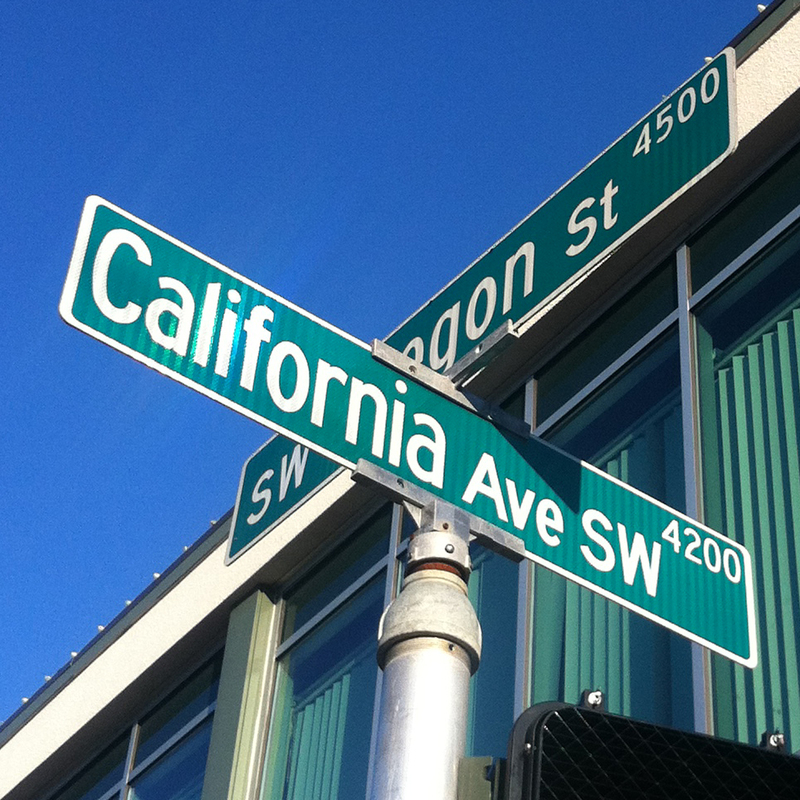 California Street shuts down for the West Seattle Summer Fest. The West Seattle Summer Fest takes place in the heart of downtown West Seattle. Four blocks of California Street are shut down with various activities for people of all ages. For kids, there is face painting, arts and crafts, bouncey houses, and carnival-type rides. Keep in mind, parents need to buy tickets for their kids to enjoy the rides, though there are day and weekend passes available. For adults, there’s a lot of shopping to be done at the West Seattle Summer Fest. More than 150 vendors set up in the middle of California Street. They sell everything from funky screen print t-shirts, arts and crafts, jewelry, bags, hats, and much, much more! There are so many different type of vendors that I considered doing all my Christmas shopping early. In addition to the vendor booths in the middle of the street, most of the permanent stores set up tables with products on the sidewalk outside of their stores as well. I advise bringing cash as many vendors don’t accept card. Restaurants set up tables on the sidewalks so people can enjoy the nice weather and sit near the action of the West Seattle Summer Fest. Similar to the stores, restaurants set up large outdoor seating on the sidewalks. Tables are packed with people enjoying sunshine, food, and drinks. If you can find a seat at one of the outdoor spaces, it is a great way to sit back, relax, and people watch. The shade is also nice relief from the hot July weather. While you sit and enjoy some food and drinks, you will hear music at the West Seattle Summer Fest. A large stage is set up on California Street, with various bands rotating throughout the three-day festival. On top of the main stage, there are also bands that playing along the sidewalk. That means there’s a constant flow of tunes blaring through the West Seattle streets. The people who live in West Seattle love West Seattle. They are proud of their neighborhood and community. To its core, the West Seattle Summer Fest is a time for this tight knit community to enjoy each other and celebrate. While I think anyone living in or visiting Seattle will have a great time at this event, I think those who live in West Seattle will enjoy this event even more. 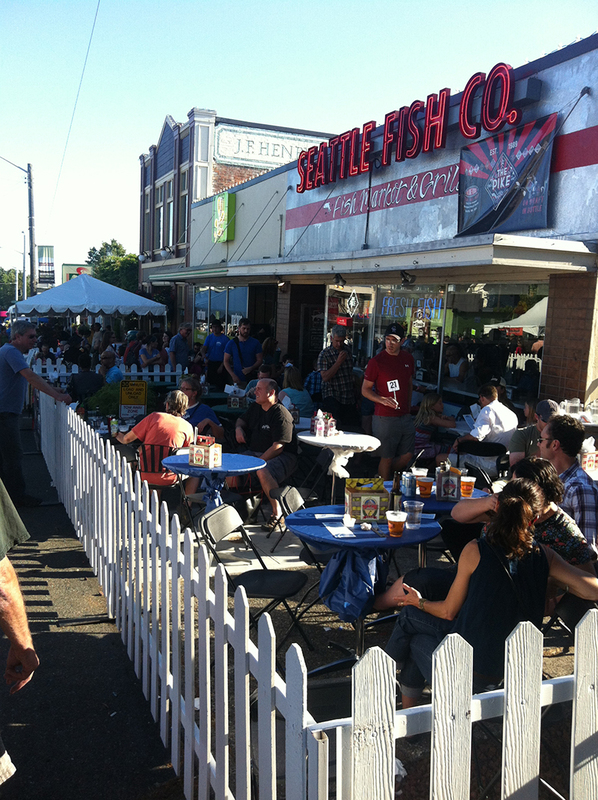 Have you ever partied at the West Seattle Summer Fest? What did you think? We’d love to hear from you! Please leave a comment below or connect with us on Twitter, Facebook and Google+. Don’t forget to also check out Seattle Bloggers for more fun events around the Emerald City!